Property Division: Who Gets The Home In A Florida Divorce? If you and your partner are considering divorce, you likely are concerned about property division. Specifically, you may want to know what will happen to the biggest asset you own: the house. The answer to this question is not always clear-cut. There are factors that come into play, such as children and whether or not the home is owned jointly by the spouses. Can you stay in the marital home? Will you have to sell it? Read on to learn more about dividing this piece of property in Florida. Florida is an equitable distribution state, which means that property must be divided fairly in a divorce, but not necessarily 50/50. If one spouse contributed more to the marriage, then he or she would get a larger share of the assets. When it comes to dividing the home, ideally both parties will come to an agreement on their own. Perhaps they both decide to sell the home and split the proceeds. Maybe they agree that the wife will stay in the home and raise the couple’s kids. If there are no children involved and you cannot agree on dividing the home, this can get tricky. Legally, one spouse cannot kick the other one out or change the locks. You can ask the other spouse to leave, but he or she does not have to. The only time you can get the other spouse removed from the home is if you are the sole owner of the home. If you both own the home, you can get the other spouse kicked out only in the event of domestic violence. If you have been abused by your spouse, get a restraining order and he or she will legally have to leave the home. Do not allege domestic violence if it did not occur, though, because the judge might actually kick you out of the home for lying. False accusations may seem extreme, but they have happened before. If you two cannot come to an agreement regarding the home, then it may be worthwhile to try mediation. A mediator may help you focus on why you want to keep (or sell) the home and help you and your spouse reach an agreement. Perhaps offering a spouse more money or some other benefit in return for the home (such as a different asset, stocks, health insurance, etc.) may help. If mediation does not work, then the issue goes to the court. A judge will consider all the facts of the case and make a decision for you. 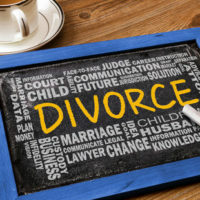 Divorce is a complicated process—even when both parties are amicable toward each other. Splitting property is never easy, and the court has some leeway in determining who gets the house and other marital assets. If you and your spouse can’t reach a decision, the court will, and neither of you may be happy with the results. Do you think you should get the home as part of the divorce? Want to learn more about property division laws in Florida? Learn more by calling the Dade City family law attorneys at Mander Law Group. We can help you achieve a favorable outcome in your divorce. Schedule your consultation today by contacting us at (800) 557-0411.